This blog will focus on football and it’s symbiosis with sprinters. I played quarterback starting in August of 1971. I broke my arm before the first game and watched my 7th grade team from the sidelines. I played on my 8th grade team. I quarterbacked my sophomore team as a freshman at Princeton High School We moved from Princeton to Oswego in late August of 1974. I gave up football to concentrate on basketball. My track coach (Roger Wilcox) was also the head football coach, so I quarterbacked his 1975 Oswego team. In game four, I left in an ambulance with a grotesque dislocation of my throwing shoulder. Eleven more dislocations and surgery kept me from taking another snap. I loved football and I hated it. I loved the game and hated practice. My love-hate relationship is still with me after 33 years of coaching. I love the GAME. My pregame speech before our opening game is always the same. I tell my captive audience the same thing that Marv Levy told his Buffalo Bills back in 1991 (Super Bowl XXV). Before taking the field, he asked his team “Where else would you rather be than right here, right now?” We play at 8:30 am with fewer than 200 in the stands. There is nowhere I’d rather be. We had a good season, going 9-0, just like we did the year before. Our freshmen winning streak is now at 21 games. We scored 51 points per game and won by an average margin of 47 points. Our defense outscored our opponents 74-38. We beat Pekin 86-19. Our B-team went 8-1 for the 2nd consecutive year. We started the season with 69 players and ended with 74. We sold $33,000 worth of cookie dough. We never played under the lights. If not for 75% of the parents showing up, we would have had no one in the stands. Freshmen football is a lot like Track & Field. What’s the secret? Speed Kills. If interested, read my end of summer blog, “Summer Vacation?” In that blog I told my readers that our freshmen team would go 9-0. I had never seen my players in pads. Never seen them block or tackle. I watched no game films. However, I knew we would have an incredible team because SPEED KILLS. There are varsity football teams that did not have the team speed we had. Check out our offensive starters and their 4o times. And, get this … our projected best running back and fastest player, Nico Capezio (4.39) got injured on the first day of practice and missed the entire season. You can see 40 yard dash times and automated 10-meter fly times at this link … rankings. So what does this have to do with Track & Field? Sprinters make a football team special. Football players make a track team special. #76 JJ Frey is the best freshmen I’ve ever coached … and the best I’ve ever seen. At 6-0, 204, he runs 4.78 in the 40 and 1.15 in the 10-meter fly. We played him at offensive guard and linebacker. He also was an incredible weapon as a fullback. I am so fortunate to work in a football program that is progressive and player-centered. Our off-season programs are terrific and the coaches work well together. Players speak highly of football at Plainfield North. 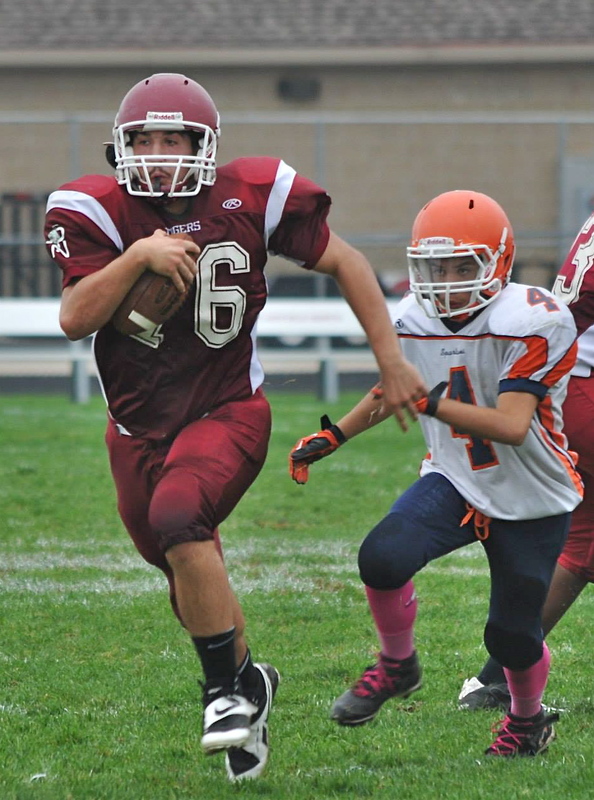 Plainfield North is less than 10 years old but we’ve had uncommon football success. However, many schools aren’t so lucky. Some football coaches are hard to work with. Neanderthal football coaches suffering from high testosterone levels make the mistake of “owning” their players and put them on “Bigger, Fatter, Slower” programs. The same nutjobs want their players to train as football players all spring and believe that track coaches are geeks. Football coaches are some of the hardest working and competitive people I know. They are constantly pushing themselves to work harder than their counterparts. My uncle, Kelly Kane, was a head football coach for 40 years. Most modern head coaches burn themselves out quickly. And they burn their players out too. Read the outstanding article written this week by Brian Billick concerning the grind of NFL coaching … Billick Article. The grind of being a full-time and teacher and a head football coach can be just as unhealthy. My freshmen football team had only 15 summer sessions. No grind. No conditioning. Our objectives were simple … keep it fun, increase our numbers, teach sprinting, and teach lifting. In addition, we wanted to install our offense (5 running plays and 4 pass plays). That’s it. When official practice started we practiced 3 hours, no double sessions. In addition, we did not do “conditioning” at the end of practice. My assistants warned me that we were going to get destroyed late in games due to our “lack of conditioning”. They were amazed to see the opposite. When athletes train sport-specific, they do just fine. When athletes go 100% for three seconds, then rest for 20 … that’s football. Football is not running laps or running wind sprints, or doing up/downs. Football is a burst of explosive energy then a huddle. While numbers 1-3 deal with football, 4-6 are generic. Numbers 4-6 are the keys to a good football team. Numbers 4-6 are the keys to a good track team. I think they are the keys to my Chemistry classroom too. I would love to do strength and speed testing on varsity football players during the season. How many of them get weaker and slower as the season progresses? The grind does not allow for growth. Most high school football teams regress as the season wears on. Physically and emotionally depressed athletes have more injuries. Physically and emotionally depressed athletes do not attract new recruits to a football program. Most basketball players see football as a boot camp sport. Football teams need to attract great athletes. Track teams need to attract great athletes. Chemistry needs to attract great students. Carlos Baggett ran 4.54 in the 40 and an impressive 1.05 in the 10-meter fly. The team with the best players usually win the game. The fastest kids usually win the race. The smartest kids usually perform best in the classroom (tests are great predictors of future test scores). 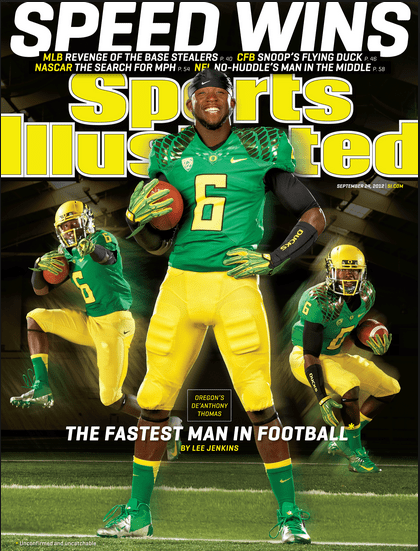 My favorite college football team is Oregon (of course, see article). Their strength and conditioning motto is “Bullets Over Bowling Balls”. Do you think Oregon does endurance training to play games at breakneck speed? Train fast to run fast. Give adequate rest in order play fast. Coaches that blame losing on conditioning, courage, heart, or desire are idiots. Typically talent wins games. Well organized talent is even better. Well organized, talented kids that play with enthusiasm and a bounce in their step dominate their opponents. Jordan Gumila is shown here running behind 204 pound JJ Frey. Gumila was our best back. Last summer he ran 4.54 in the 40 and 1.08 in the 10-meter fly. I think that all sports are slowly heading into the quality over quantity direction (with the possible exception of distance runners). San Antonio Spurs coach Gregg Popovich is changing the NBA by showing that rest may be more important than winning regular season games. Popovich has prolonged the careers of older players and kept his teams fresh for the playoffs. NFL training camps are changing drastically. Players spend less and less time on the field. Marc Trestman gave the Bears Tuesday and Wednesday off after Monday night’s win over Green Bay. To keep your players fast, healthy, and enthusiastic … rest is critical. OK, let’s get back to how this all relates to Track & Field. Over-training leads to emotional depression. Winter Speed & Strength Training at PNHS begins soon. Approximately 200 kids will be trained to sprint and worked hard in the weight room. I am very fortunate to be good friends with Tim Kane, our head football coach. We sometimes disagree but we listen and we compromise. We work together for the benefit of the kids. 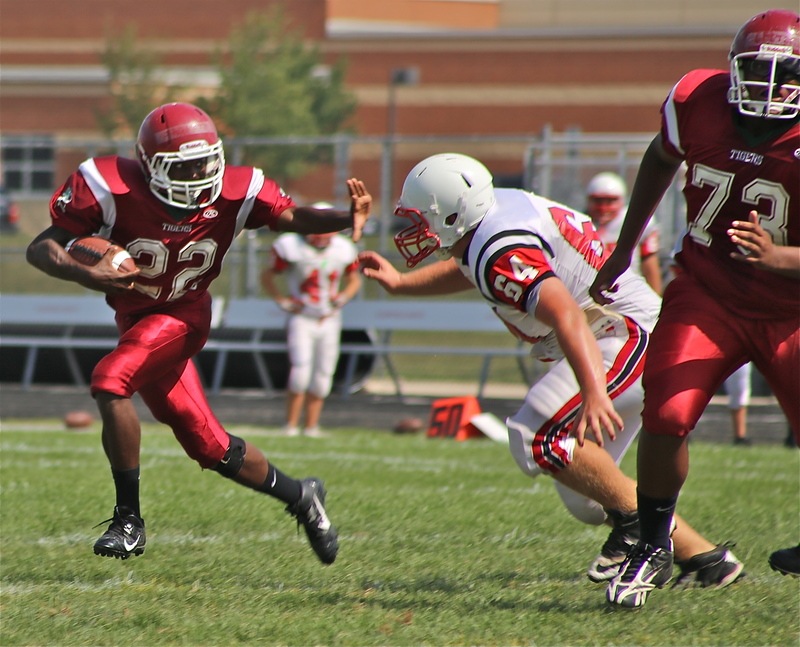 Look for Plainfield North football to go deep into the playoffs in 2016 … because speed kills. Congrats to Mike Stine, head football coach of the Class 8A State Champions, Naperville Central High School. It is heartwarming for track coaches to see a track & field guy succeed in football. 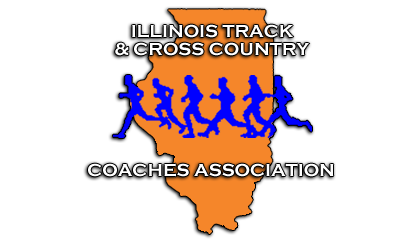 Mike is the Head Girls Track & Field Coach at Naperville Central. To win the title game, Mike’s football team had to beat a high-octane private school (Loyola Academy) coached by former NFL player, John Holecek. I believe this gives support to my theory that football players do not have to be football-trained 24-7. You can be a championship football coach without “owning” your players 12 months a year. I have thoroughly enjoyed these articles. I grew up in the home of a powerlifter and head football coach. I’m 44 years old and only in the last year or so have I begun to change my own training philosophy. Keep up the great work Coach!